Is the Atkins Diet Still Popular These Days? Is the Atkins Diet Still as Popular as it Once Was? Fad diets are generally a flash-in-the-pan phenomenon. They hog the limelight for a while and fade away into irrelevancy shortly afterwards. Atkins is the only diet that has proved to be the exception to this rule. Formulated by Dr. Robert Atkins way back in 1971, the diet remains a topic of discussion among nutritionists and common public even today. The Atkins diet is a long term dietary program for healthy weight loss and maintenance. It is a low-carbohydrate, high-protein, and high-fat diet. Dr. Atkins advocated that the consumption of carbohydrates results in a spike in blood sugar levels, which prompts the body to store fat. It not only results in weight gain, but also increases the risk of diabetes considerably. To avoid this problem, Dr. Atkins advised people to reduce the amount of carbohydrates in their diet, as a result of which the body burns the stored fat, which results in healthy weight loss. The Atkins diet program consists of four distinct phases. During the first phase, you are required to eat only 20 grams of carbohydrates a day, mainly from vegetables. During the second, you can add a few more grams of carbs in the form of nuts and berries. During the third, you can add ten more grams of carbs per week to your diet. During the last phase, you should continue eating a low-carb, high-protein, high-fat diet. Once you have shed all the unwanted pounds and reached your goal weight, you should stick to a low-carb diet for the rest of your life to maintain a healthy weight and keep your blood sugar levels in check. When it was first introduced, the Atkins diet became a hot topic of discussion in the industry because it was completely different from the traditional high-carb, low-fat diet plans that were very popular in the country at the time. It encouraged people to eat more fat, something which was unheard of at the time. Dr. Atkins advocated that a low-carb diet is better than a low-fat diet in terms of promoting healthy weight loss and improving a person’s overall health. Though many people were skeptical at the time, his claims have since been vindicated as studies show that a low-carb diet can increase the amount of good cholesterol in your body, lower your triglyceride levels, and regulate your blood sugar levels. The diet became known to pretty much every household in the country following the publication of Dr. Atkins’ second book – Dr. Atkins’ New Diet Revolution – in 1992. The book became an instant success and stayed on the New York Times bestselling list for nearly six years. In 2003, it was estimated that one in 11 people in the US was on Atkins diet. In the UK, nearly three million people were reportedly on the diet. Celebrities like Jennifer Aniston and Demi Moore endorsed it. Such was the diet’s impact that the sales of wheat and potatoes went down in the US while meat consumption rose steadily during the same time. Food companies, eager to cash in on the diet’s popularity, came up with a variety of low-carb products, including low-carb beer. The Atkins diet, for a long time, was called the steak and eggs diet for its emphasis on carbohydrates and its lack of restrictions regarding protein and fat intake. The diet, however, has changed over the years to retain its appeal to the current generation of discerning dieters. In 2010, a revised edition of the Atkins Diet – The New Atkins for a New You – was published by Drs. Eric C. Westman, Jeff S. Volek, and Stephen D. Phinney. The book introduces a new concept called ‘net carbs’, which allows you to consume more carbohydrates during the first phase of the diet. The book argues that since the fiber in food is not absorbed by the body, its effect on blood sugar is negligible. So, instead of restricting your carb intake to 20 grams a day, you can have up to 40 grams of carbs in the form of fiber-rich vegetables, since the fiber content does not count. Another criticism against the diet in the beginning was that it emphasized too much on carbohydrates and did not have any restrictions regarding people’s protein and fat intake. Critics pointed out that restricting your carb intake while eating bacon, steak, cheeseburgers, and other high-fat foods is not likely to yield results and can be detrimental to your health in the long run. As a result, many proponents of the Atkins diet today recommend that you should opt for lean proteins and healthy fats in the form of sirloin, chicken, fish, eggs, and nuts instead of eating processed meat. While it may not be as popular as it once was, the Atkins diet still remains one of the preferred dietary programs for people who are looking to lose weight. 1. It works. 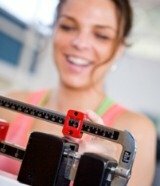 Study after study shows that low-carb diets are far more effective than regular weight loss programs. You tend to lose more fat, more weight, and feel a lot healthier. 2. It is a structured program. It requires you to severely restrict your carbohydrate intake right away, effectively jumpstarting the weight loss process. It comprises four different phases, which span over a period of many weeks, and gives your body plenty of time to get used to the dietary changes. So, it becomes easier for you to eat a low-carb diet for the rest of your life. 3. The need for the Atkins diet is more today than ever before. This is due to our dietary habits. Studies show that adults in the US get 50% of their calories from carbohydrates, which is not healthy at all. So, there is certainly a need for people to restrict their daily carb intake and a tried and tested diet like Atkins is definitely a good choice. The Atkins diet is a good weight loss program that can deliver results in the long run. It is not a quick-fix diet. It requires you to permanently change your dietary habits in terms of carbohydrate intake, which can lower your risk of diabetes and help you maintain a healthy weight for the rest of your life. When combined with regular physical exercise, it can improve your overall health and well-being.